Uptown Aces is rather one of the new kids on the block which emerged in 2014. They are under the Deckmedia Umbrella who have for many years been in operation. They have built their reputation on quality service and thus, we were able to immediately trust this online casino. The Casino provides comprehensive customer support via Live Chat, phone and e-mail and accepts a vast range of secure, quick and convenient methods of payment. A welcome Bonus that awaits you is a massive $8888 which is spread over 6 individual Deposits of $20 minimum. Bonuses are available for Slots, Real-Series, Video Slots, Keno and Scratch Cards play! Most of all, a no max cash out rule applies! Another noteworthy bonus is a Low play through Bonus where you would Redeem coupon code 100ACES and receive a 100% Welcome Match Bonus up to $100 FREE – This offer is available on your first deposit. Uptown Aces also offer you Comp Points which is much the same as an on-going bonus – For every $1 you wager, you will earn a specific amount of Comp Points depending on the game you have chosen and your VIP Status. When you reach 100 comp points you can convert your Reward Points to real money. 100 comp points translates into $1 real money. Most of all, note that all Terms and Conditions apply to bonuses that are offered. Uptown Aces Casino features RTG Games – USA Players welcome! Uptown Aces is powered by Realtime Gaming software so as a consequence, players find a huge variety of quality Casino games. These are added to on a monthly basis and especially relevant to our visitors, the games are available to players in the USA. The Casino can be played by installing software or via “instant play”. Utilizing the Realtime Gaming Software opens many doors to some awesome games. Video slots are the biggest offering, with 5 reel titles being the most common. Action at Uptown Aces Casino can continue irrespective of where you are. Enjoy your favourite Slots, Blackjack Games and more right from your preferred mobile device (As listed below) knowing that more dedicated mobile games are added to your selection each month. 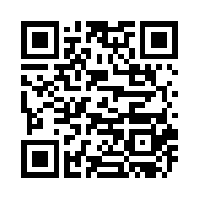 You can follow this link to Uptown Aces Casino or you can scan the QR Code with your mobile phone and be whisked directly to the Casino itself!